Originally published under the title "A Palestinian Awakening." Social media is today the primary engine of extremist incitement among Palestinians. The Palestinian struggle for legitimacy has been embodied in one phrase — intifada — that is supposed to lead to global Palestinian redemption. Intifada, literally to "shake off," is a reminder to "shake up" Israel and alert the world to all the wrong that is done to the Palestinians as a result of the Israeli "occupation." Past intifadas, including the uprisings in the pre-state era between the 1936-1939, increased Arab-Palestinian consciousness — but brought Palestinians no closer to statehood. Above all, intifada crosses the social barriers between upper, lower and middle classes; all are one when it comes to this national duty. Israeli analysts Ze'ev Schiff and Ehud Ya'ari, in their seminal book Intifada, tackle the first intifada, which is also known as the uprising of 1987. They recount Yasir Arafat's description of the term; intifada was to be like a tremor experienced during a high fever which spreads throughout the body, or the movement a dog makes when trying to rid itself of flees. This image of shaking off disease or infestation gives Palestinians a kind of carte blanche; any form of "resistance" to Israeli "occupation" is justified. Past intifadas increased Arab-Palestinian consciousness, but brought Palestinians no closer to statehood. Yasir Arafat's ultimate goal was to make the Palestinian cause the flagship for the entire Arab world. Until the Palestinians receive the justice they are divinely owed - the theory goes — the Arab world should not rest. Here, eleven years after Arafat's death, his legacy continues. Arab regimes and Islamist groups like al-Qaeda and others use Palestinians to galvanize their respective causes — whether in Europe, the Middle East or even Berkeley — without real intention of embracing or helping Palestinians themselves. The social media world is based on instant gratification, short attention spans and a microscopic news cycle. 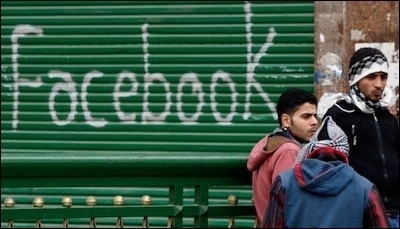 The online intifada is therefore more effective than ever. And thanks to it the Palestinian struggle has gone viral, generating more supporters locally and abroad. The ruling Fatah movement's tweet on "hibat al-Quds" or the "Jerusalem awakening" blessed by Palestinian president Mahmoud Abbas and Hamas, was, "A symphony of love for Jerusalem. If the occupation wants to hear it again and again, it should continue invading Jerusalem, attacking our noble women and desecrate our Noble Sanctuary (i.e., the Al-Aqsa Mosque plaza) and our Jerusalem." 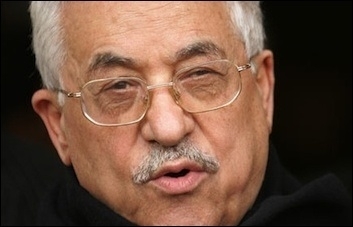 Palestinian Authority President Mahmoud Abbas warned in September, "Al-Aqsa Mosque is ours. [Israelis] have no right to desecrate it with their filthy feet." YouTube clips and titles like "Jerusalem Is Bleeding," featuring the track "It'an, It'an" — "Stab, stab," are motivating the youth of Oslo to embrace the new repackaged intifada. This soundtrack has a larger context; for example, in September Abbas announced on Palestinian TV that the "Al-Aqsa Mosque is ours. They have no right to desecrate it with their filthy feet. We won't allow them to do so and we will do everything in our power to defend Jerusalem." In reference to Palestinian rioters on the Temple Mount, Abbas declared: "We bless every drop of blood spilled for Jerusalem. This is clean and pure blood, blood that was spilled for God. It is Allah's will that every martyr will go to heaven and every injured person will receive God's reward." Palestinian society remains more attuned to rejectionism and violence than the pursuit of statehood. The weight of any intifada is rooted in its absolute adoption of the Palestinian narrative; even the current Palestinian youth that were named the "children of Oslo" know and embrace it. These are children who live online and have no recollection of Oslo. While they have heard about the occupation they really don't know what it means except in the present tense. The corrupt and factional Palestinian Authority is the only government they know. And despite their own issues with it, they are still willing to embrace its call for intifada, tweet it around the globe, and pick up knives. Moreover, now that U.S. Secretary of State John Kerry and the State Department have put the onus of the Palestinians' murderous behavior on the settlements — the "occupation" — they know they also have the tacit backing of the U.S.
At the end of the day, the "Jerusalem Awakening" is yet another reminder that rejectionism and violence are more attuned to Palestinian society than Palestinian statehood.